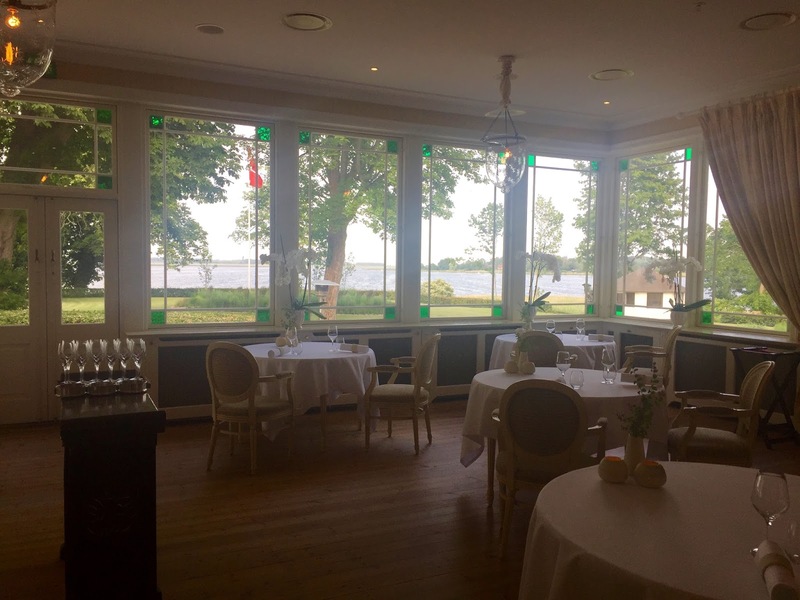 Home » Favourites » Favourite hotels » Why not spoil yourself properly at Hotel Frederiksminde? We recently visited this gem for the second time and it was just as lovely as we remembered it. 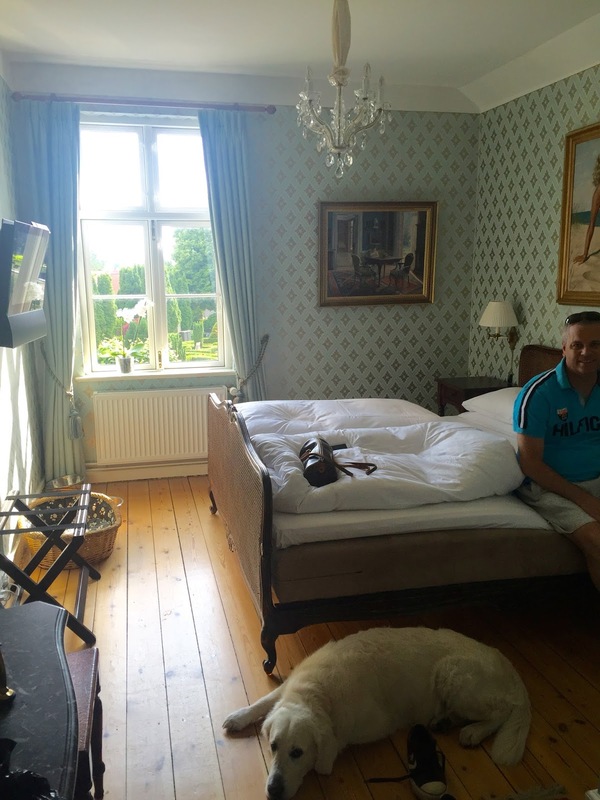 Hotel Frederiksminde is a small and cosy, yet elegant hotel, situated in the cosy town of Præstø, which is about an hour and a half drive from Copenhagen (100 km. 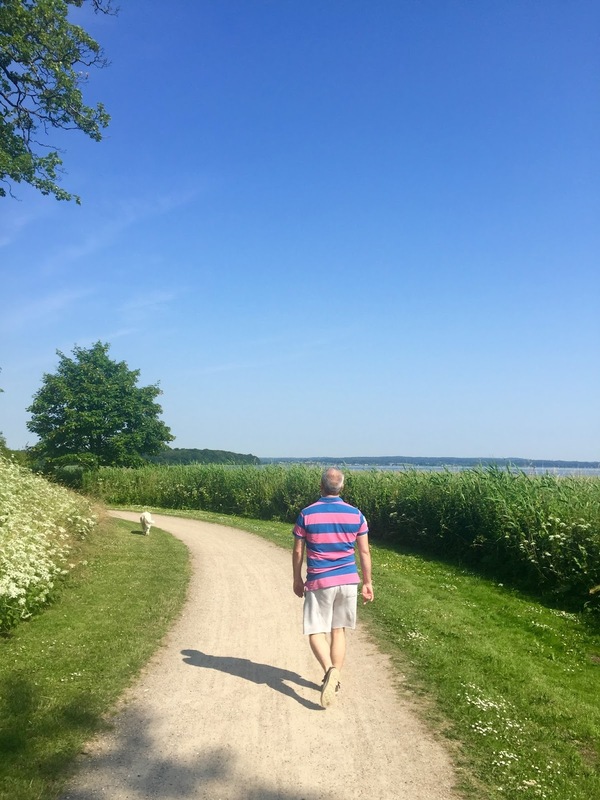 – but lots of roadwork along the way…). 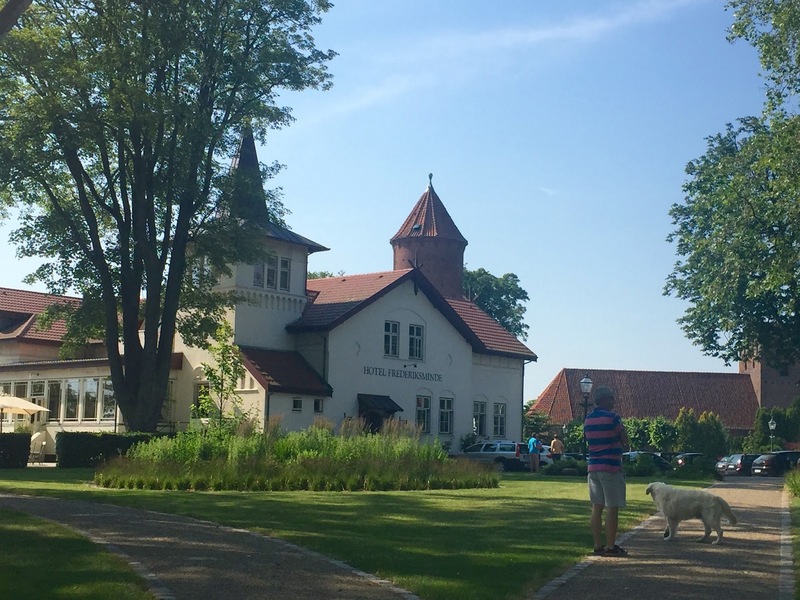 Location of Hotel Frederiksminde is beautiful, just at the waterfront, very close to the small harbour in Præstø. The building is about 100 years old and went through a complete renovation in 2007. There are 19 rooms, all in various sizes, shapes and decor – however, all very, very charming with lovely details that all fits very well with the old, beautiful wooden building. The beautiful room #5 with a small balcony facing the garden and the sea. Oh well, Goodmorning beautiful place! There is also a lovely garden in front of the hotel and from some of the rooms and from the restaurant, you have a 180 degree seaview – priceless! The food is really, really good and you can actually taste the freshness in it as well as the very high quality of food ingredients used. The menu is very well put together and every single detail as to taste, combination and decoration has been thought of. Nothing is a coincident or random. For sure! 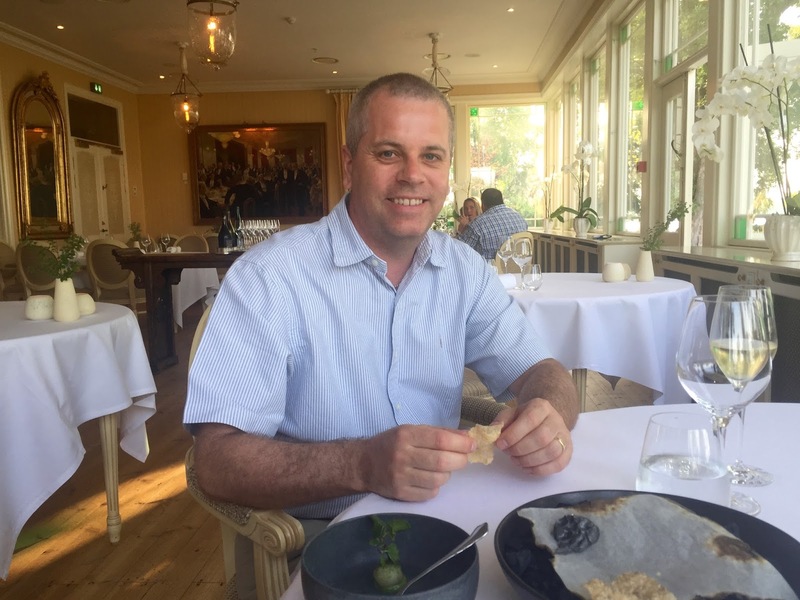 The food at this hotel is definitely amongst the best we ever had anywhere in the world – and that goes for the breakfast as well….. If you think that 3 more courses can make the meal even better, you can get this as an add-on. 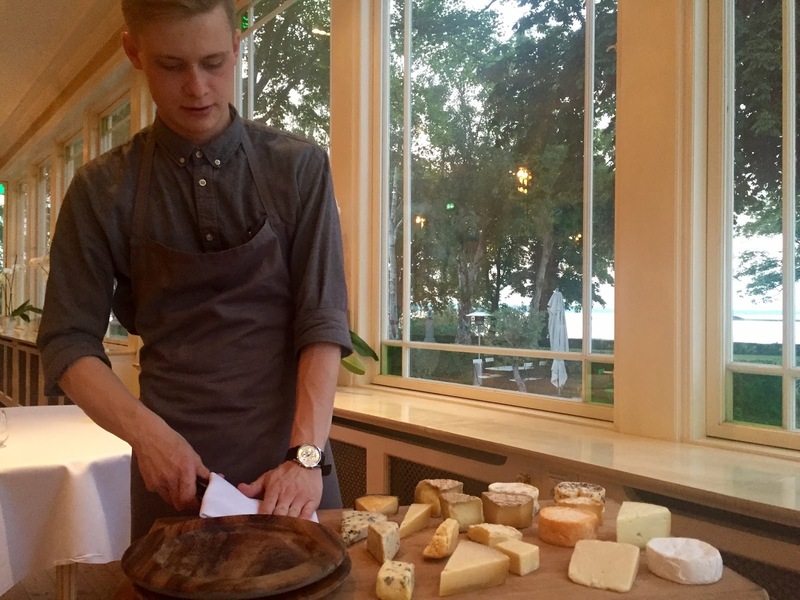 We were also offered to add a selection of cheese to our meal – which was amazing! The selection was very impressive, and I can highly recommend it! To complete it, get a glass of wine with it…. People who knows me well, also knows that I loooooove my breakfasts… This one is exceptionally good! The homemade bread is to die for, the yoghurt is as creamy as one can wish for……the cold cuts so yummy and tasty..the freshly squeezed juices are gorgeous and so on…..and so on…. The hotel can also be proud of a very nice view of the sunset. Our waiter recommended we went out to see it between the starters and the main course and it was stunning! Just around the corner is also the old mainstreet of Præstø, as well as the small harbour with lots of nice cafés. We can’t wait to return to this gem and can highly recommend a visit here! You surely must deserve it!